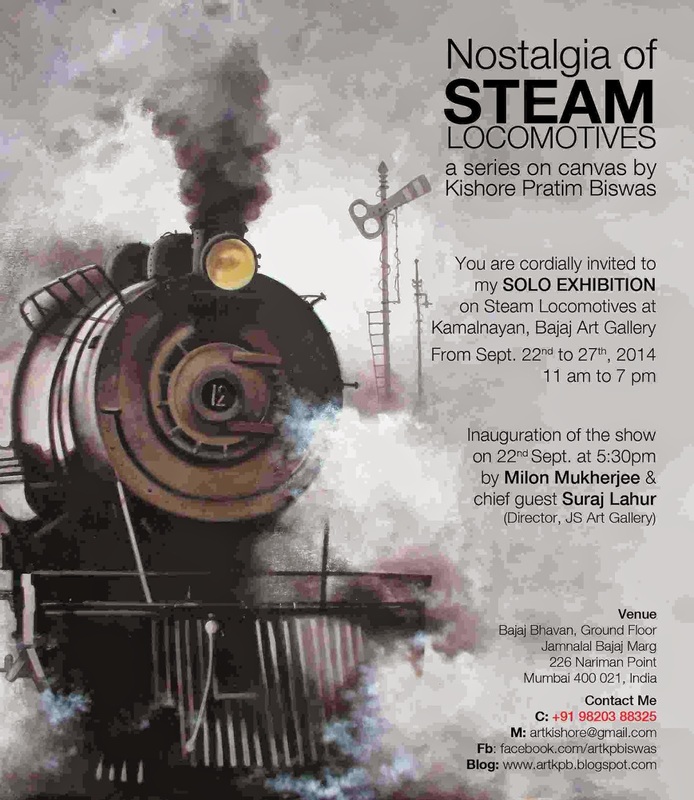 One of the India’s significant expressionist independent artist, KISHORE PRATIM BISWAS is a journey of around 13 years of modern contemporary Art movement. He opted for an unconventional thought, style in his painting. Born in Kolkata in the state of West Bengal in 1971, he was fond of art since childhood. He did his graduation in Fine Art from Government College of Art & Craft, Kolkata in 1997. In 2009 he came in Maharastra, and permanently setup a studio in Mumbai. The talented artist started off by primarily painting in watercolors. However, he gradually switched to painting Acrylic on canvas. His art practice stands on a solid intellectual platform and his works reflect a unique streak, where in color is of great importance, and form happens to be only incidental. He also applies use of the texture in the canvas as well as experimental method to finish his paintings. On the other hand, Kishore chose to experiment with an array of mediums like acrylic, oil, watercolor, mix media, charcoal & soft pastels. He had his solo exhibition in Kolkata in 1996, and a year later at the various group shows around the India. He is not as like renowned contemporary artist in India, still a fact now acknowledged by the market, many collectors of modern Indian art now slowly collect his works. I was born in a place where I had the opportunity to see STEAM LOCOMOTIVES. It was 1976 to 1988; throughout the day I was watching the steam locomotives, it was running in front of me with the sound of whistling and steam. For me it was big nostalgia. The huge presence of his body, with the color of dark black and white smoke, it was making me crazy. I never forget the smells of steam. Everything encouraged me to bring them down at the surface of my canvas. I went to the locomotive workshop day after day to study them from a close look. I remember that, the using of black, brown, sepia and white color palette was making me extremely mad. I seriously had fallen in love to study of steam locomotive engine. I felt the huge weight of the engine, when it was passing through me. I loved everything about them. The fireman and driver were always in a particular dress of dark blue with a cap. All time they were looked black because of the dust of coal and grease. I loved to sketch them, study their faces with pen and ink, charcoal and soft pastel pencil. I was always being touchy to draw them. I tried to catch their emotions in their character. Watching their lifestyles, listening their story, sometimes I might be their family friend. Sometimes they lunched under the engine, sometimes sitting in the line, sometimes in the engine. They have a particular aluminum lunchbox. In lunch time they were chatting out family story and all. Occasionally I used to join with them. Still now I recall the smell of food. That is how the Nostalgia of steam locomotives came.